With Elastic cuffs, waist,ankles to ensure a better fit and freedom of movement. Serged seams and storm flap to help provide higher standard protection. 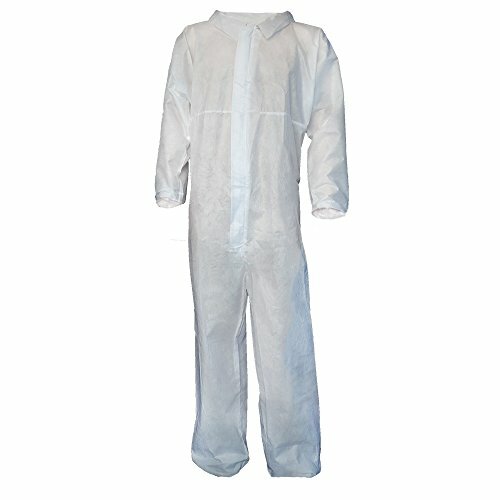 The coverall also has a front zipper closure to facilitate putting on and removing the garment. It offers a excellent breathable performance and a good barrier against dust and limited liquid splashes. Typical Applications:Car Industry, Cement Manufacturing, Costruction Work, Asbetos inspection, Handling Toxic Powderss, Painting and Coating, Gardening, Domestic DIY, Waste Management. Made of lightweight SMMS material to provide protection, duarlity for use in hazardous environments for working and includes a multitude of comfort features. If you have any questions about this product by Raytex, contact us by completing and submitting the form below. If you are looking for a specif part number, please include it with your message.